Lately I’ve been a big fan of the Sharpie Pen – they draw such clean lines, it feels like my handwriting always looks better when I use one. 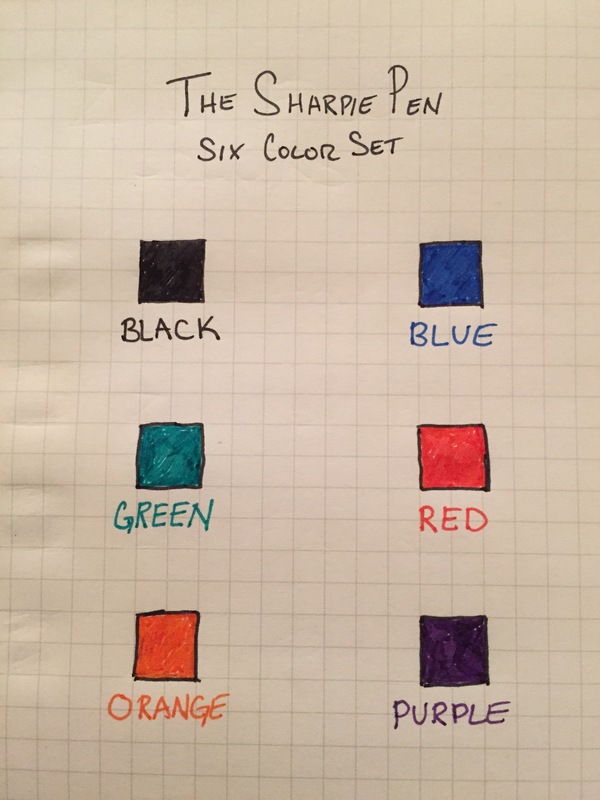 So I was excited to play around with this set of six basic colors: black, blue, red, orange, green, and purple. The blue and green look fairly standard to my eye, but the orange and red are quite bright. On the other side of the scale, the purple is fairly dark. In fact, I would actually consider using the purple in place of a black pen for writing. 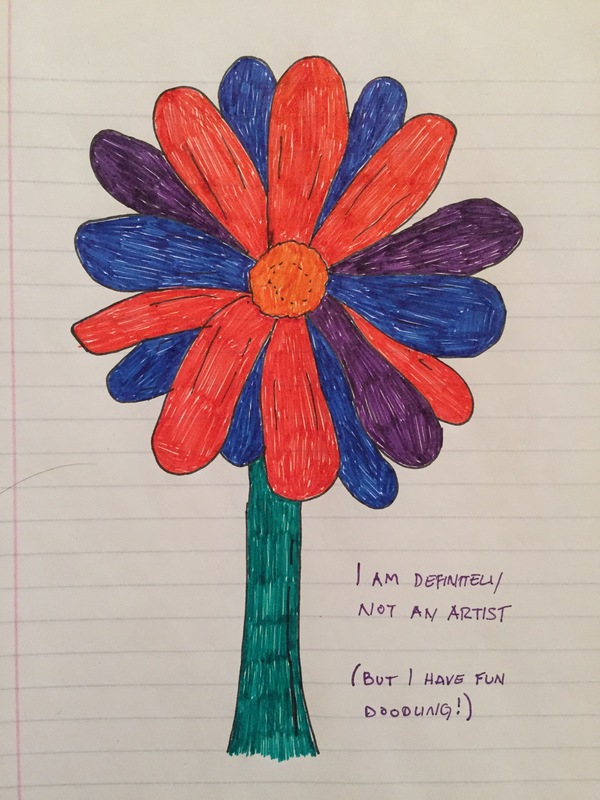 These pens aren’t the greatest at filling an area with color. 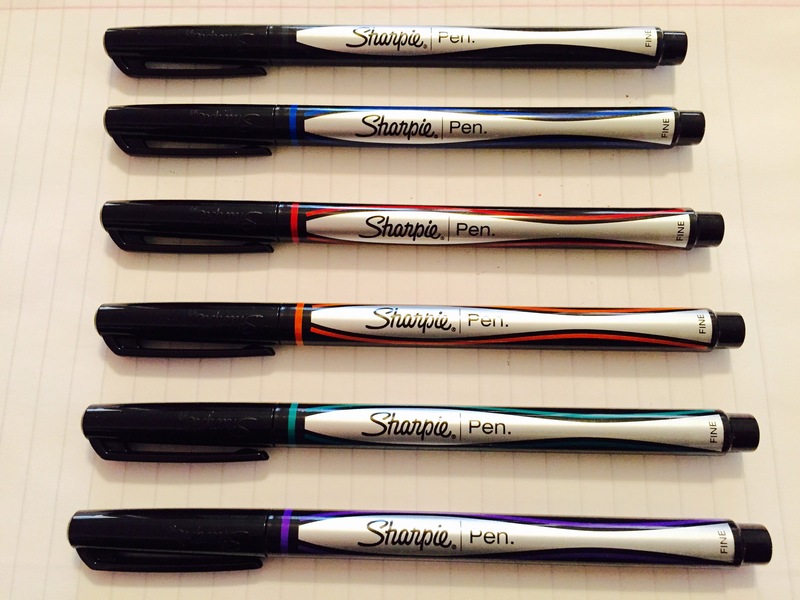 However, this might be a good addition for anyone using Sharpie permanent markers in their artwork, as it could allow for adding more details. And luckily, I didn’t have any bleeding issues with these colors like I did with the standard black Sharpie Pen.